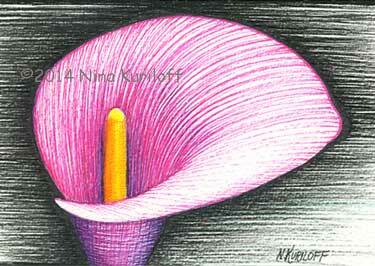 Here is my "Pink Calla" that I started and completed work on today. It is small measuring 4 x 5.5 inches. I created this piece using micron and gel pens on 140 lb. paper.